We will design and install a high quality and practical kitchen based on your needs. Send us your plans or call us to arrange a consultation. will make your kitchen look brand new. This can be done at the same time as your new benchtop. Consider changing your old splashbacks for new coloured glass or tiles. 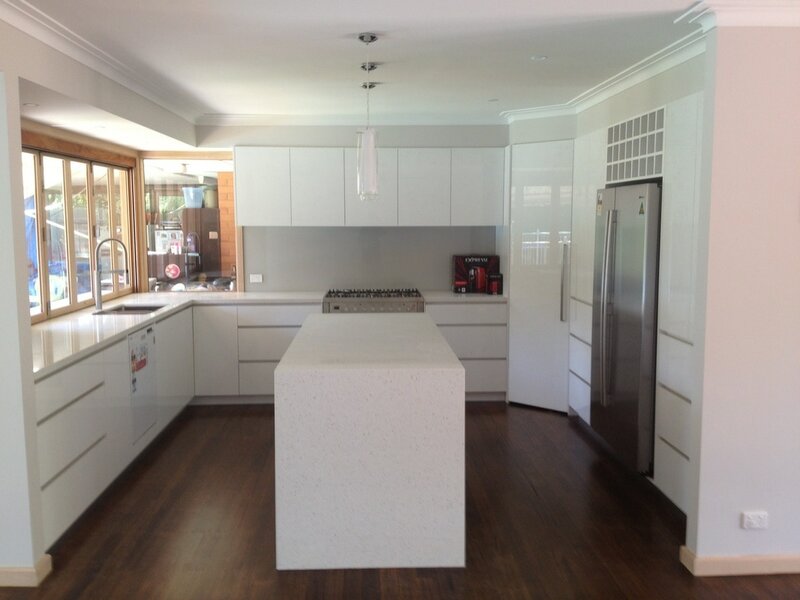 Ask our designer to tailor a package with your facelift or benchtop replacement. Floating, freestanding or built in entertainment units can finish off your living room. Custom made vanity units are a great way to get what you want from your bathroom without any compromise. The right design for a laundry is easy to achieve for maximum storage and bench space. 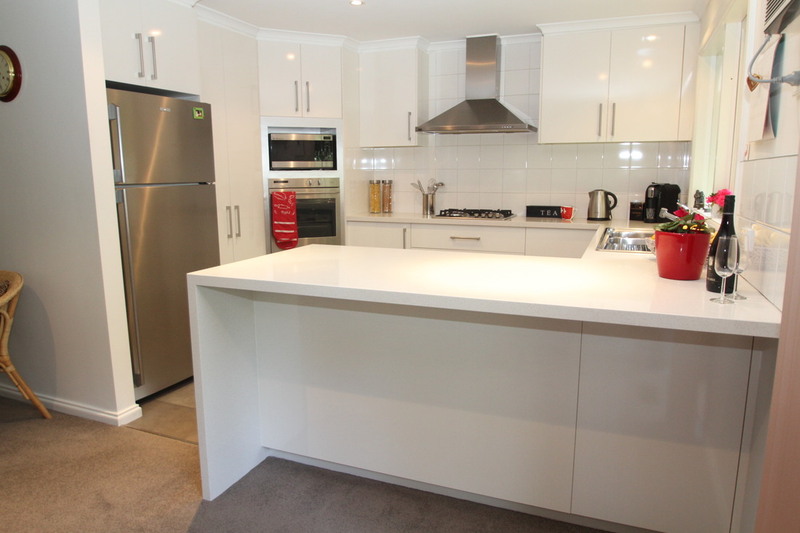 We can organise other trades for appliance disconnect and reconnect. We can also supply custom made trim kits for your new appliances into old spaces. Full cabinets or just internal shelving with sliding doors. We can tailor a system that will work inside your space. Entertain family and friends with a wet or dry bar for those special occasions. Make the most of your spare room and let us design a home office with plenty of desk space and document storage. Garage smart storage systems will convert your mess into a well organised and usable space. Outdoor kitchens make a great statement with everything that you need to entertain outside. Small commercial projects are no problem for Swap a Top. Desks, shelving, counters and more. Feel free to ask about any other ideas you may have even if you haven't seen it on this site.